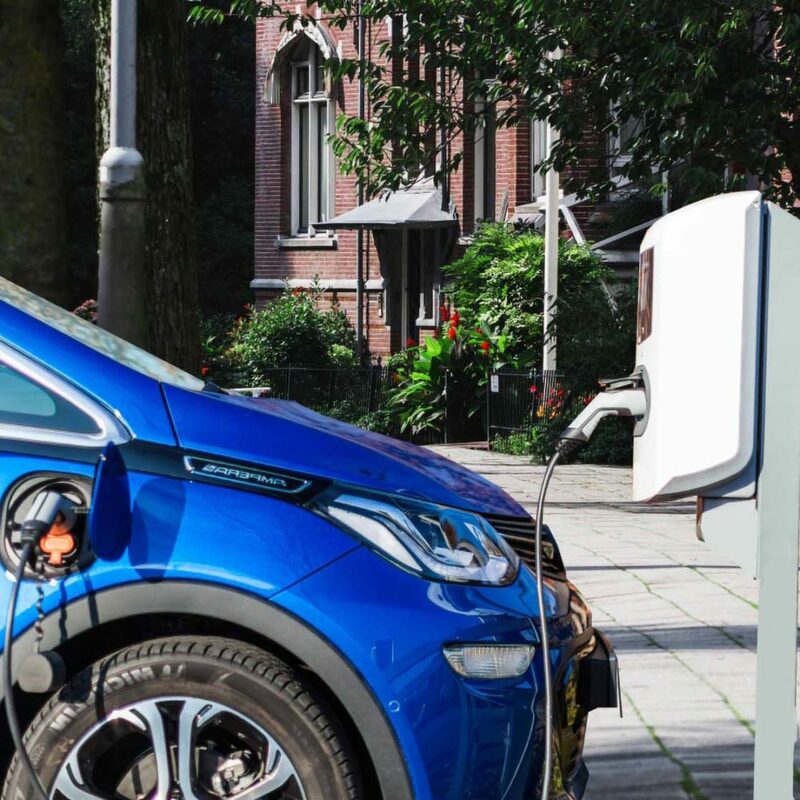 Alfen develops and manufactures a full range of advanced smart charging points for all electric cars with proven reliability for every application. The company has its UK base in Bristol with headquarters in The Netherlands. The company has a built wealth of expertise since its launch in 2008 and both the hardware and software for its Electric Vehicle (EV) charging solutions are developed in-house, all featuring unique load-balancing technology. This ensures that Alfen charge stations not only comply with the latest standards with the best technology but also are built for the future. The company can respond rapidly to any specific needs of its customers while maintaining the highest levels of quality control. Alfen solutions have been rigorously tested by independent authorities. The company is a member of key EV organisations such as OCA (OCPP), EMI3 and C69 and its solutions are all DEKRA certified. 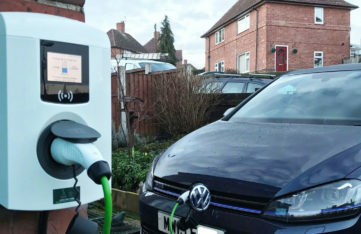 products have been approved by the Office for Low Emission Vehicles (OLEV) and are eligible for subsidies. Alfen is a leading provider of charging solutions across Europe as the market for EVs continues to grow rapidly, with better battery technology and faster charging times to reduce costs and complexity. Alfen has a range of user-friendly charging stations for the home which are safe and suitable for every electric car. All Alfen home charger solutions have built-in failsafe systems to ensure risk-free charging and there is a choice of capacities, all designed to provide accelerated charging, up to 10 times as fast as a regular outlet. The Alfen chargers can be connected to the internet with facility for activation via charge card. 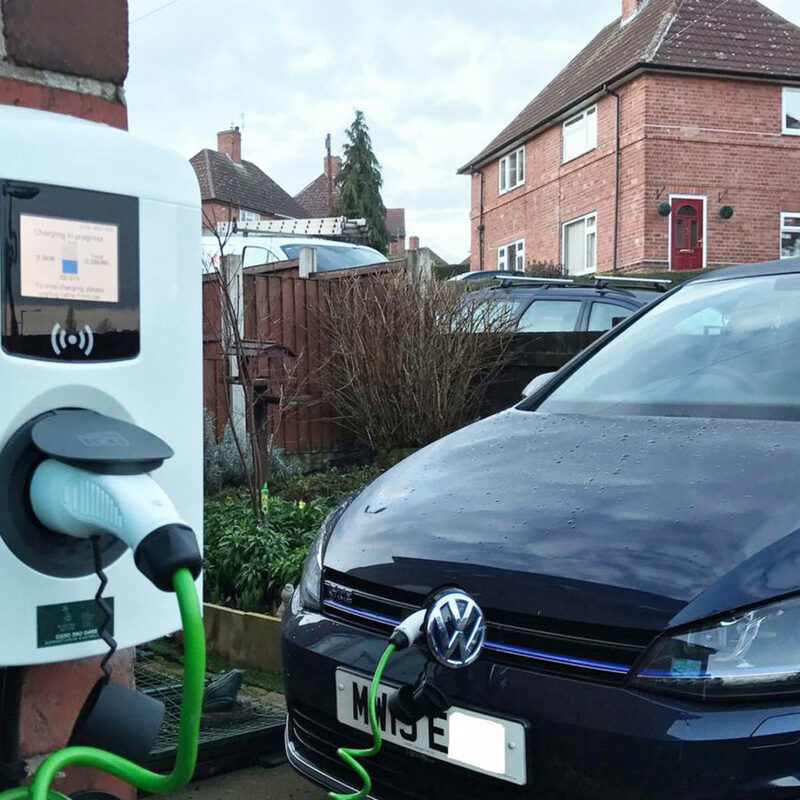 The smart technology ensures that if you use a company EV, you can easily quantify electricity costs and charge for this, with billing service options provided by trusted Alfen partners. For automatic transactions, you can choose your service provider and charging plan. The Alfen range of chargers for the office covers every need with full corporate branding as needed for the professional finish. Equipped with either an ethernet port or SIM card for wired or wireless connectivity to a local network, this enables full management through smart phone, tablet or PC, with the communication to an online management platform. The Alfen charging stations provide data on energy consumption in real time with full management of usage times. The Alfen solutions are not geared to a single service provider so you can choose mobile billing facilities that suit you. The charger stations demonstrate your commitment to sustainability and the environment while helping employees make the change to EV and provide a unique service for your customers. 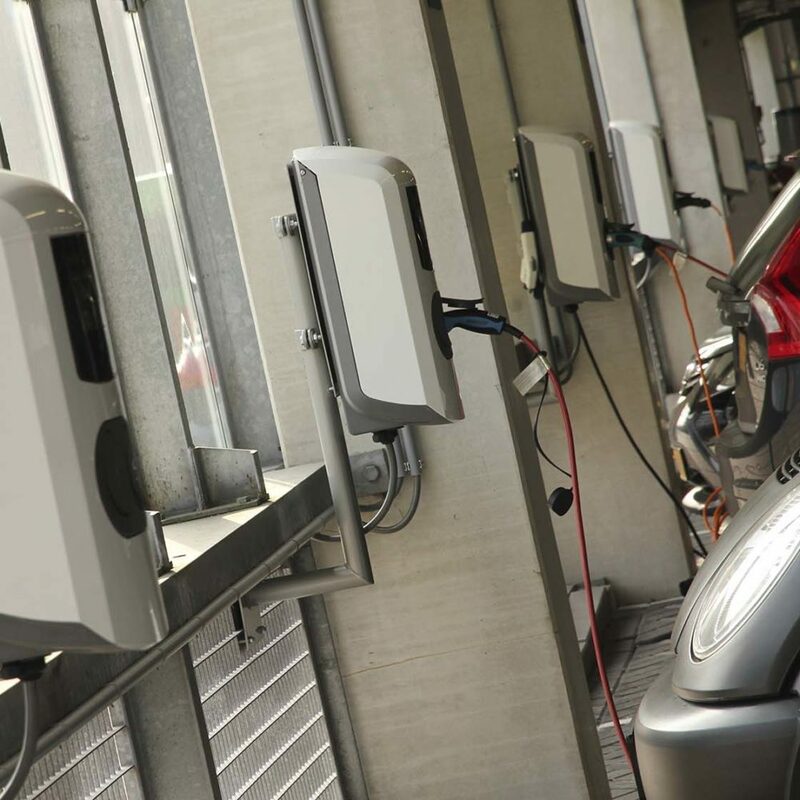 The Alfen chargers can also be activated with office garage parking and turnstile RFID card systems, depending on the technology being used. With Alfen, the parking garage becomes an electric fuel station, offering options for additional revenue streams. Alfen charging stations are equipped with either an ethernet port or SIM card for wired or wireless connectivity to a local network. 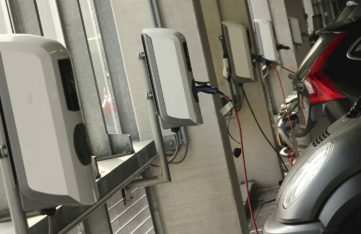 The Alfen smart solutions ensure that charging status and energy use is monitored with full facility to manage stations remotely via smart phone, tablet or PC, adding users and controlling access times, with the communication module in Alfen chargers enabling connectivity an online management platform. Charging data is stored in the cloud for anytime, real-time access with facilities to export data to improve administration. The Alfen charging stations provide data on energy consumption in real time with full management of usage times. You can choose mobile billing facilities that suit you as the Alfen solutions are not locked into a specific mobile service provider. Alfen’s charging stations have proven their reliability in street locations across Europe, being used by thousands of EV drivers. 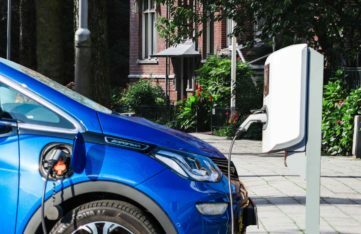 The deployment of a reliable charging network is a crucial move in the reducing CO2 emissions in urban areas. The Alfen smart charging stations can be remotely managed through smart phone, tablet or PC, with the communication module in Alfen chargers enabling connectivity an online management platform. The smart charging stations provide real-time data on energy consumption with control over usage times, which makes them ideal for front-of-office or hotel locations, for example as well as public parking areas. The Alfen solutions are not geared to a single mobile service provider so you can choose mobile billing facilities that suit you.